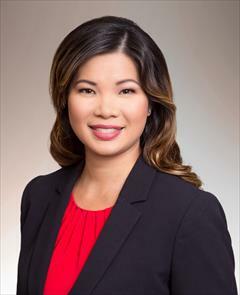 Originally from Hong Kong, Vaness Tsang-Lee moved to Hawaii in 1997 and graduated from University of Hawaii at Moana with a Bachelor of Business Administration degree in Human Resources Management. Fluent in English, Cantonese and Mandarin, she was most recently the Human Resources Manager at the Domestic Violence Active Center. Vaness currently owns and manages a growing auto detail business with her husband in Kailihi-Kai. With her extensive HR and small business experience, she passionate about helping people in maximizing their potential to achieve their personal and career goals. Vaness has been recognized for her outstanding facilitation skills, customer service excellence and her genuine interest in helping people.